Fleet managers have just a few weeks left to register for this year’s International Fleet Meeting, which will bring senior industry speakers, a panel discussion on mobility management and a networking platform. 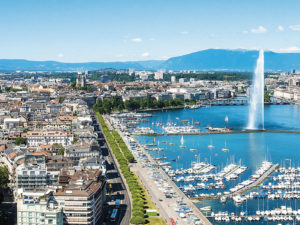 Free to attend, the event – which includes Fleet World’s sister title International Fleet World again as a media partner – takes place on 7 March on the second press day of the Geneva Motor Show and will see more than 250 fleet managers from all over the world meet ambassadors from the automotive, leasing and service industry. Attendees will have the chance to hear from Michael Müller, senior director head of mobility & facilities, Daiichi Sankyo Europe GmbH, and Marc A Odinius, managing director Dataforce GmbH. Meanwhile the topic of Mobility Management – Vision and Reality will come under focus in the panel discussion by Hervé Girardot, head of Arval Consulting & Corporate Vehicle Observatory, and Vinzenz Pflanz, vice president group sales Sixt SE, moderated by Thilo von Ulmenstein, managing partner Fleetcompetence Europe GmbH. To register for free for the event, click here.